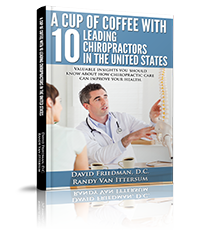 Our Mission at Van Dehey Chiropractic is to create and offer the highest quality chiropractic care and to educate Bourbonnais area residents to understand and appreciate vertebral subluxation-centered Chiropractic as the most critical part of health. This will, in time, help to move Chiropractic to its’ proper place in society, as healthcare, leading to better lives and ultimately a fuller expression of genetic potential of individuals. Call our Bourbonnais chiropractic office to arrange a consultation so we can explain how chiropractic produces results the natural way without drugs or surgery.